The ROLLUP operator is a very useful in generating reports that contain subtotals and totals which generates a result set that shows aggregates for a hierarchy of values in the selected columns. The super-aggregated column is represented by a NULL value and we can assign any value such as ‘ALL’, although the super-aggregate rows will always be added last. Multiple aggregates over different columns will be added if there are multiple GROUP BY columns. WITH ROLLUP, as well as WITH CUBE, both are non-standard and deprecated. In addition to the subtotals generated by the ROLLUP extension, the WITH CUBE operator will generate subtotals for all combinations of the dimensions specified. In general, WITH CUBE generates a result set that shows aggregates for all combinations of values in the selected columns. As the number of dimensions/columns increase, so do the combinations of subtotals that need to be calculated. The ROLLUP operator can also be used to calculate sub-totals for each column, based on the groupings within that column. There is only one major difference between the functionality of the ROLLUP operator and the CUBE operator. ROLLUP operator generates aggregated results for the selected columns in a hierarchical way whereas CUBE generates an aggregated result that contains all the possible combinations for the selected columns or dimensions. Microsoft provided SQL Server Integration Services, an amazing ETL tool to create packages to meet the business requirements. In SSIS, a package is a graphical design tool which may consist of organized collection of connections, control flow elements, data flow elements, event handlers, variables, parameters, and configurations. 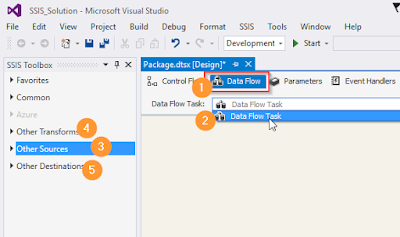 After Control Flow, the Data Flow task is one of the most important and powerful components in SSIS which is responsible to retrieve data from heterogeneous data sources, transform that data, and insert it into heterogeneous destinations. How can we Configuring the Data Flow? A Data Flow task will always start with a source and will usually end with a destination, but not always. We can also add as many transformations as necessary to prepare the data for the destination. For example, we can use the Derived Column transformation to add a computed column to the data flow, or we can use a Conditional Split transformation to split data into different destinations based on specified criteria.